(As we continue on into Import Week…) Nothing says class like a large British saloon. 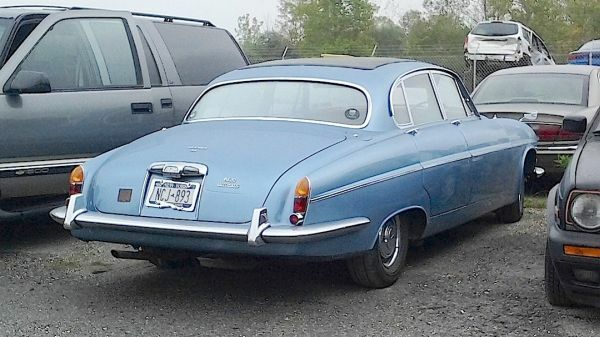 Especially when it’s a 1965 Jaguar Mark Ten 4.2 like this one, seen a while back in Youngstown. Real wood, real leather, and a real inline six-cylinder E-Type Jaguar motor under the bonnet. Nice. Of course, the word large is relative; in Blighty it was a huge car, but here in North America — not so much, especially when competing with barges the size of Lincoln and Cadillac for the luxury car market. Jim Corbran, RRofWNY The post RealRides Of WNY appeared first on Buffalo Cars.